"Phokeethra Country Club is Cambodia's debut international-quality course, offering clients the best of modern golfing, while retaining the refined ambiance of an exclusive country club." Cambodia's first international quality golf course is a unique treat for golfers of all abilities. Designed by 'V Golf Design', the 7,145 yard, 18-hole course reflects Phokeethra's dedication to creating an exclusive golfing experience. 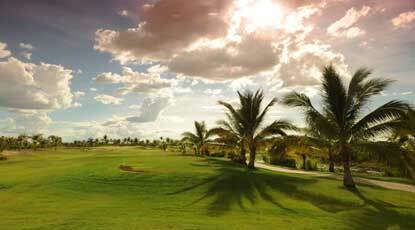 The course is distinguished by sweeping fairways and generous greens. Natural lagoons and sand traps challenge golfers to raise their game. The course provides a good mix of tricky par 3s, individual par 4s and par 5s which require a combination of power shots and technique to master. Separate pitching and putting greens allow golfers to practice their skills before heading out on the course. Paspalum grass offers both the professional and casual golfer a high standard playig surface all year round.